Andy Robertson has signed a long-term contract extension with Premier League leaders Liverpool. 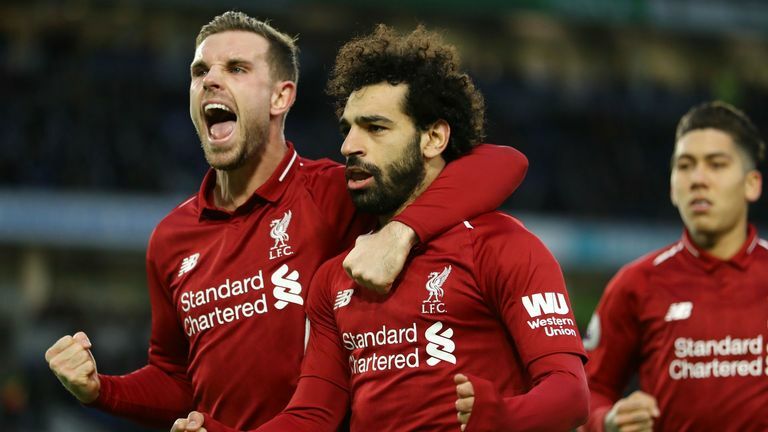 The Scotland left-back has been an influential performer in Liverpool's back four, one which has conceded a Premier League-low 10 goals in 22 games this season. Robertson arrived at Anfield in the summer of 2017 from Hull City for an initial fee in the region of £8m and has since established himself ahead of Alberto Moreno as a first-team regular. "As soon as the club came to me, it was a no-brainer for me - I want to stay here, so as soon as they put an offer on the table it was signed as quickly as that," he told the club's website. "Getting to know the lads and working with all the staff at Melwood has been a pleasure. The best thing about work is when you love coming in every day - and that's what I do here. "I am glad I have extended my stay and hopefully we have a lot of good days ahead. "I hope to achieve success as a team over the course of this new deal. This club demands trophies and too long has probably passed without trophies. "So I hope to help bring another couple of trophies to this club and help push in that direction because the fans demand it and the club demands it, so that's what we aim to give. "We came close, of course we have with the Champions League and things like that, but it's about taking that next step and hopefully getting a winner's medal around your neck, whatever competition it is. That is the main aim for us."